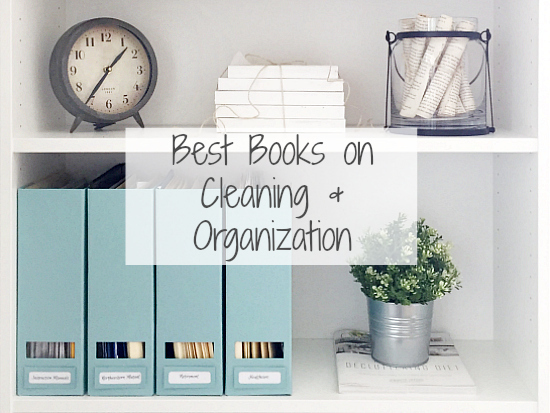 Best Books on Cleaning & Organization… and a Giveaway! 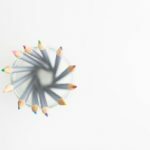 I love reading about organizing and keeping a home; there’s something about seeing pictures, learning new methods, and implementing ideas that gets me excited. But there are so many books out there, how do you know which ones are worth your money? Below I’m sharing some of my favorites. Make sure to enter the giveaway at the end of this post for your chance to get one of these books for yourself. 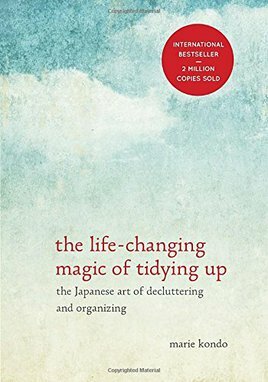 This book has been a top-seller in the world of decluttering and organization. Marie Kondo created, what is defined as, the “Konmari Method” of decluttering. Instead of asking yourself whether you want to keep or discard an item, the author encourages you to ask the question of whether the item brings you joy. This method also encourages you to declutter by category (i.e. clothes, books) versus room-by-room. It’s definitely a different approach; one that I love, actually. 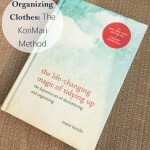 I have practiced the Konmari method with my clothes and books. 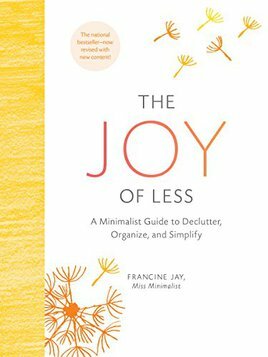 Marie Kondo also wrote a book to supplement this one, titled “Spark Joy“, offering more straight-forward “how-tos”, using the Konmari Method. 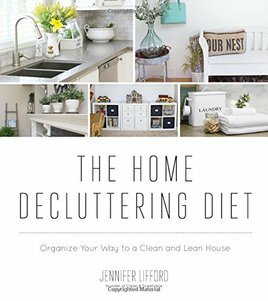 “The Home Decluttering Diet” is written by my friend Jennifer Lifford, who blogs at Clean and Scentsible. Jenn starts you off with a 30 day “detox” by having your organize quick spaces in your home (your purse, for example). Once you have completed the detox phase, you start working on different rooms in your home. Jenn dedicates an entire month for each room, sharing organizing tips along the way. In total, this book is supposed to take about a year to complete, but you can certainly go at your own pace; whether slower or faster. I wrote more on this book in this post on organizing paper clutter. This book is written by Toni Hammersley, the woman behind the blog A Bowl Full of Lemons. Each chapter focuses on one space in your home; with a weekly challenge for getting the space organized. There are tons of ideas on creating “real life” organizing systems to help keep all your rooms tidy. I also love that there are a few homemade cleaning recipes thrown in. Toni just came out with another book titled “The Complete Book of Clean“, which I’m anxious to get my hands on. If you’ve been around this blog for any length of time, then you know I LOVE making my own cleaners. I like knowing exactly what’s in the products I’m using around my home. Baking soda, vinegar, and essential oils are my favorite go-tos. 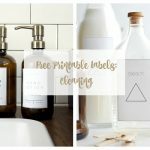 The Naturally Clean Home has a bunch of DIY Cleaning Recipes for you to try out for yourself; everything from dishwashing to stain treatments to floor cleaner. 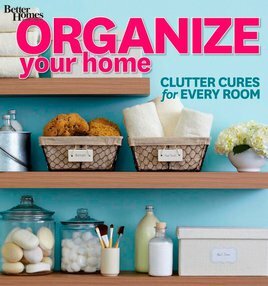 This book is filled with beautiful pictures and awesome ideas for organizing around your home. The book starts out with a quiz so you can set realistic goals based on your “organizing personality”. The book also addresses common issues that arise during the organization process: attachment, perfectionism, etc. As the book progresses, there are wonderful ideas for organizing each area of your home. This book is all about embracing a minimalist mindset. The start of the book discusses what minimalism is really about, helping you create the right mindset about your possessions. The latter half of the book walks you through each room in your home, helping you to declutter your space. The basic premise is to rid yourself of large items first. Then display things by how often they are used (daily, weekly, or seasonally). Once this is accomplished, create “modules” for your belongings (i.e. electronics, reading material, movies, etc.). Once a space is decluttered, there are a few limits to set in order to ensure the space stays decluttered. 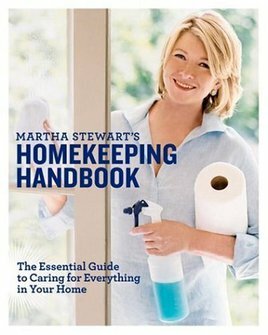 This is not a book you are going to read cover to cover, instead it is a reference book, with more than 700 pages full of tips on caring for everything in your home. The book details cleaning and care instructions on every type of fabric, counter-top, fixture, flooring (and more) in your home. 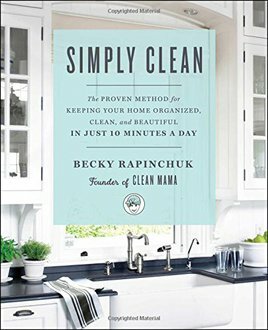 Congratulations to Richelle, winner of the book Simply Clean! Homage you checked out the book by the blogger “A Slob Comes Clean”. Her book “How to Manage You Home Without Loosing Your Mind” was the best read I have ever had in a homemaking book! I will have to check that one out. Thanks for the suggestion! I already have the KonMari one. The Simply Clean one sounds nice too. Would love to win one or all (ha) of the books. 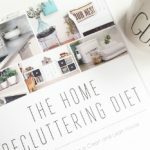 Home Decluttering Diet or Simply Clean would be wonderful! Really enjoyed watching you on the Rachel Ray show! Also enjoy your posts on your blog! 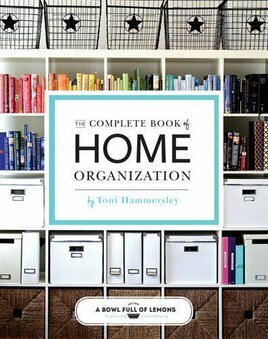 I would love to read the Complete Book of Home Organization. It sound really good, but then so do most of the others. They will probably end up in my library before too long. What a great list all look like I could use them but if I was going to pick one it would be the decluttering diet book. Seriously a topic I need to be more invested in. It is a tough choice to pick a favorite but it would be either The Magic of Tidying Up or The Home Decluttering Diet. I would love to read all of these books! Just found your blog, saw you on Rachel Ray. I love your ideas. I haven’t read any of these books but they look like awesome reads. Love your clever topics. Didn’t realize there were so many organizational books! I still need to read the Home Decluttering Diet book. It’s one my list of things to do. Maybe this winter when things hopefully slow down and cabin fever hits. It will give me something to do then! 🙂 Thanks for all your tips. I need help in decluttering my home. I try and I make a bigger mess that it was before. Wow, what a GREAT GIVEAWAY, but so hard to just choose one. 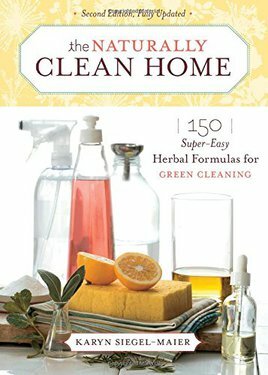 The books that I been really wanting so bad for a long time are The Complete Book of Clean by A Bowl Full of Lemons, and The Home Decluttering Diet by Clean and Scentsible. They all look so good! I’m super interested in The Home Decluttering Diet…I’ve read a lot of great stuff about it.